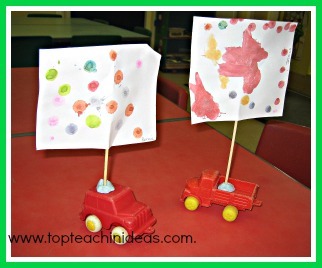 Wind theme activities to try with your preschoolers this springtime. Wind always seems to whip kids up into a mad frenzy ! 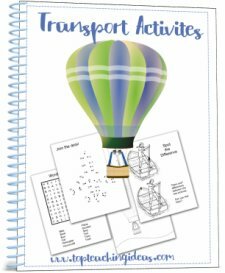 So why not use these wind theme activities to channel their energy into something fun while you cross off another objective on the target list! 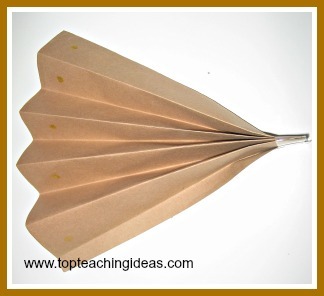 This wind theme task is so easy to do and is really effective when finished. Kids can do individual ones which when aged 3-4 they seem to like to do so they can take them home and show their mums! Or older ones could create a collective piece for the wall. Drop drips of bright coloured paint onto pieces of paper, the bigger the blob the greater the effect, then take it outside and allow the wind to blow the paint about to form a wind picture! With older children you could use this opportunity to talk about wind as a force and how it can be used to make electricity. Lovely activity to encourage cutting skills and for using up bits of coloured paper that would normally be binned! scraps of sticky paper that you want rid of! When finished and dry you need to fold rectangles round to form cylinder and tape or glue . Make 2 holes at one end and thread a piece of wool or string and tie. Attach long pieces of crepe paper or something similar to the other end and there you are , a wind sock ready to hang outside and see which direction the wind is blowing today and ideal for your wind theme! 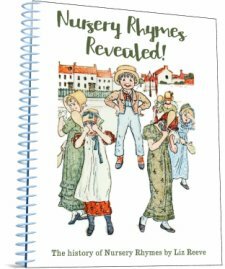 This wind theme activity is great fun and it covers so many different strands of the curriculum. You will need however, to rummage through the box of toy vehicles to find as many different sorts and colours as you can ! What you do is to get each child to design their own sail on a triangular or square piece of paper and attach it to their vehicle with a dob of blu tac or plasticine. Then taking one child at a time and your hair drier on cold, you blow the wind vehicle from behind the starting line and see how far it goes, marking its final destination with chalk before doing the same with the next childs' vehicle. I used this task to introduce measuring. Not wanting to introduce standard measurement yet, I asked them for ideas of what we could use to measure whose vehicle had travelled the furthest. They suggested using shoes but we decided that wasn't uniform enough as each of them had different sized feet so in the end we decided on a teddy bear. We also talked about the size of the sail and whether this had any effect on the distance or speed the vehicle travelled. Although the children were only aged 4 some of them grew quite inquisitive about this and went off to make a different sized sail. Our last task was to send the vehicles down a ramp to see if we could make them go any further. Funnily enough it didn't make a lot of difference to the distance they travelled only to the speed they travelled at going down the ramp. This is always a popular activity on a warm day but probably will need an adult with the group to help with the folding. All you need to provide is a plain piece of oblong paper which you get the kids to decorate in any way they like. Both sides if possible. Then with a little bit of help from you, get them to fold the paper zig-zag style. Gather the ends together and stick with tape and encourage them to make their own wind! !